It is time yet again to show us why you never leave your tank home with the neighbor, why a south facing window is not the best lighting choice, and why RO/DI is so popular. Got a heavy feeding hand? 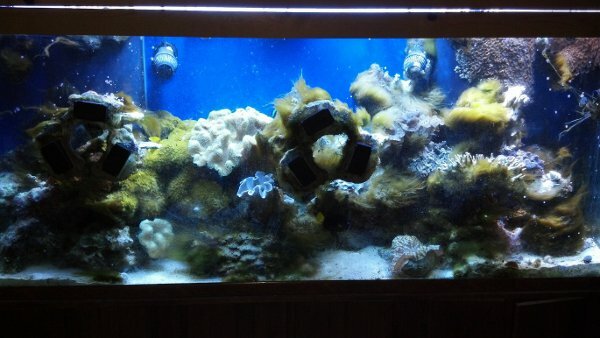 It is time for a full tank shot because the 5th Annual Ugly Tank Contest is open to contestants. We are looking for tanks that are ugly, just really, really ugly. Cyano plauging your coral? Nice! Hair algae covering your mag float? No wonder you can't find it! Please post pics! We have a winner! The Ugliest Tank this year goes to JonJon of 3reef. COngratulations!